Home > Affiliate Marketing > Make Money With Clickbank – Is It Real? Make Money With Clickbank – Is It Real? 0.7 So How Does A Website Actually Make Money From ClickBank? 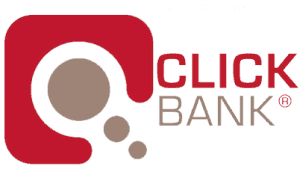 Can you make money with Clickbank? The answer is yes you can! There are two ways to make money on Clickbank, either you promote products as an affiliate or you can make your own product and gather affiliates to promote your product. Either model is good and you will most likely make more money with your own product rather than promoting the product of others. But, I will cover each one in this article for you. You see the year was 2000 and I was ramping up as a decent web designer back then. Then I meet two gentlemen who are writing a book called acne free in 3 days. Once their book was finished they started selling it on Clickbank. And it did make them money. I have since helped others make products and help them sell on Clickbank. The way to sell anything on Clickbank is to have a quality product first and foremost. Or if you are an affiliate, pick a quality product to sell. Ok, by far the easiest way to sell on Clickbank is to sell as an affiliate. This is selling other people’s products. And, while there are a number of ways to sell these products, I happen to think the best way is with a website and email. Yes, you can sell with paid advertising and I will cover some of that later on. However, it’s tricky to turn a full profit right away. I usually tell people that is something that can do later on unless they have an unlimited amount of cash laying around. As I’ve said before starting out with a website to sell Clickbank or affiliate network products is one of the best ways to go. Sure, it takes work and much effort but you are building a foundation and will capture money you might have missed out on had you not started your website. A website is also especially good for someone who likes to write. If you can write on a daily basis, you will eventually get large amounts of traffic to your website. The trick is to write daily and set a goal for yourself for the number of articles you want to have on your blog by the end of the year. So, if you want to have say around 300 articles by year end, then plan on writing daily. But make sure, you write quality content. This either requires a subject you know very well or hiring someone who can produce this type of content for you. And, in case you were thinking you need 300 websites, think again. James Martell, the famous affiliate marketer who has been marketing online since about 1999, states in his article on famous bloggers how he wished he would have spent more time making a few websites instead of hundreds. This is not to say you should not have more than one website. But use focus as your guide so you can get things done and give the correct amount of time to a project to make it the best it can be. If you are not good at writing yourself, then you can hire writers. There are all sorts of places online like upwork, constant content and more. These are some of the places where you can expect to more per an article. Many new webmasters make the mistake of just adding crap content to the new blog and then wonder why nothing ever works for them. And this usually boils down to either not caring about your content or trying to spread yourself too thin and running to many websites. There is no way you can work 100 websites and make them all quality. Sure, you can start out with a cheaper writer on a site like Fiverr for a while to get your going but just make sure the articles are the best quality you can get for the money you are spending. Then, once you gain a little traction and re-invest back into your business, you can then find a better writer. But, the point is, make sure you have quality content because people do know the difference. You will see it in your analytics stats in the form on bounce and exit rates. One of the best ways to get traffic to your website is from search engines. All the articles you either had written or wrote yourself will pay off in the end in the form of traffic. One of the most important aspects of any online marketing campaign is keyword research. Especially when it comes to search engine optimization. If you want to learn more in-depth about keyword research checkout Shaun Anderson’s keyword research guide from Hobo SEO. But, you have to know a little about what you are doing when it comes to keywords. If you don’t and you just write blind articles then you may never get all the traffic you deserve. Once you have your website idea and have done some keyword research, then you are ready to write your content. But, here is a warning to keep in mind. It takes time to get a website off the ground. Sometimes you might work for many months before your website gains any traction in the search engines. This will depend on your site authority, how much content you have and how much a search engine trusts your site. But, if you keep working it and trust in the system, you will see results. So How Does A Website Actually Make Money From ClickBank? Ok, so once you have your site up and running and you are getting traffic the one thing you really want to do is start collecting emails from your site visitors. You can also add banner ads, a landing page and some affiliate links throughout your articles. However, the best way to make money is to have a landing page and link to that from your menu and links back to the landing page inside your articles. Your landing page will give away a lead magnet in exchange for someone email address. To get more people to give you their email, you can give away a free report, software or whatever else you think your visitors might be interested in. Then, once you have their email address, you send them helpful content and build a good relationship with them and send promotions every so often to your affiliate links. The one most important thing you will want to continue do is build your email list as big as you can. This is your most important marketing activity. You build an email list because you will own that list, it’s your to keep and it is an asset to your business. You will then be able to send offers to your email list over and over again. But, you will also want to develope a relationship with them and help the people on your list. Then and only then will you want to send promotions. If you send promotions right away, at this point people do not really know you yet or even trust you. But, if you help them and then send promotions, people will trust you better and then start buying from you.